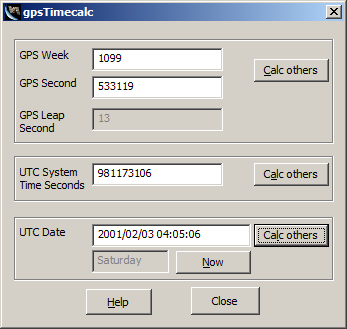 This is a small utility I wrote to convert to and from GPS week and second to UTC time and back. I did this because I could not find anything else convenient on the web to do it. It only runs on Windows at this stage.